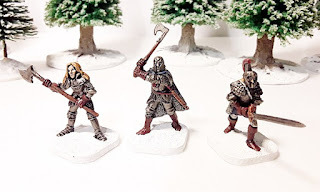 Part Seventeen of Andy Jefcoate's adventures in Flintloque sees him continue his use of Crystal Elves in their armour with two handed weapons in his games against the Witchlands Undead. Click through to read the article and see more pictures. Additionally 5024 Escape the Dark Czar beginners box set is back in stock if you want to get into the Witchlands and fight the Undead too with ten miniatures, booklet, dice and bases for just 20GBP. Thanks.